you can attach a loader and get right to work. and the tightest turning radius in its class. $3,250 OFF 5E Series Tractors ***Offer valid on purchases made between 2/1/19 and 4/30/2019. 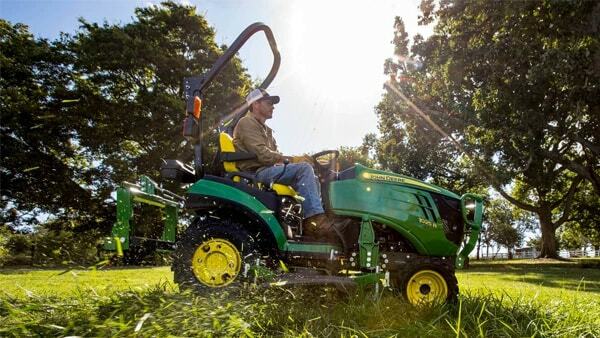 Save $2,750 USD on new John Deere 5045E and 5055E cash/finance bonus only. $500 Implement bonus on all New 5E Tractors when purchased with two or more John Deere or Frontier Implements. This cash bonus can be combined with the regular installment options. Some restrictions apply; other special rates and terms may be available, so see your dealer for details and other financing options.